Hello! Another hot day on the way! Keeping cool playing in my studio. This card was created for the sketch challenge at Tuesday Morning Sketches. 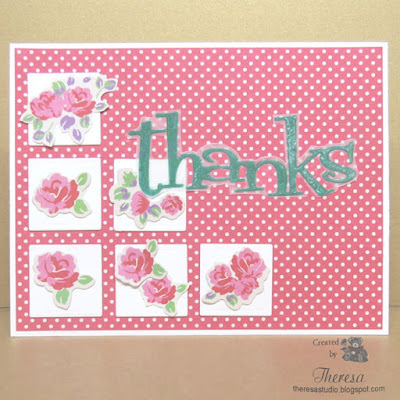 I used patterned paper and die cuts from a freebie kit included in a magazine Making Special Cards. (Trying to use some of my supplies on hand) I stamped and embossed the sentiment from Repeat Impressions on vellum with DIO Lucky Clover. Fussy cut the sentiment and attached with vellum tape. So many possibilities for this sketch. So pretty, Theresa! Those little die cut roses are perfect!! I love this! Super idea for the sketch. I am still hoping to find time to play with this. Wow! Great use of your freebie. This card is lovely. Thank you for joining us at Tuesday Morning Sketches. I love your sweet roses your card came out so pretty Theresa! 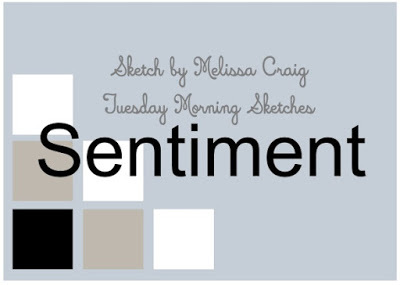 Thanks so much for creating with us this week at Tuesday Morning Sketches. 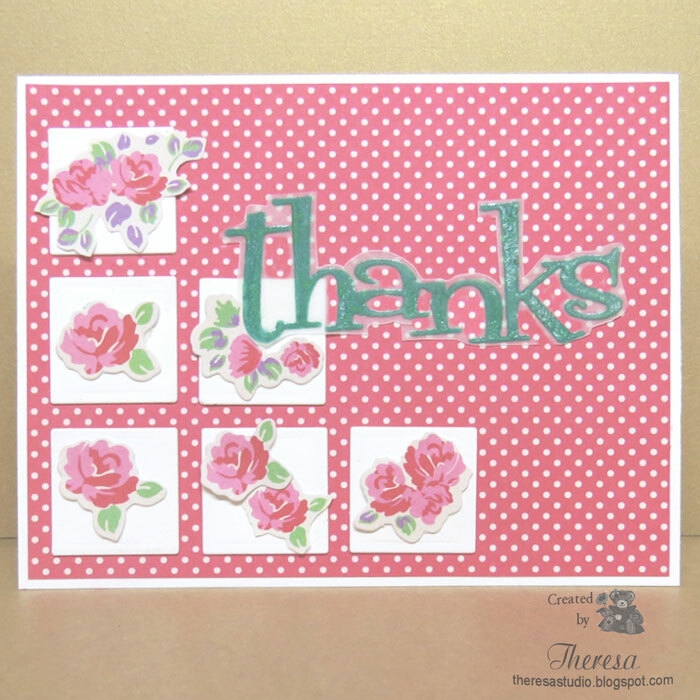 Thanks for entering our CraftyHazelnut's Patterned Paper Challenge for July!